What do the European Commission’s moves on copyright really mean for the music industry? COPYRIGHT Music publishing It comes as no surprise that Pharrell Williams, Robin Thicke and TI have filed their appeal against the verdict in the ‘Blurred Lines’ case that saw them ordered to pay $5.3m (reduced from the orginal $7.3 million) and pay over 50% of songwriting and publishing revenues to the family of Marvin Gaye, after a jury ruled last year that their song copied Gaye’s 1977 hit ‘Got to Give It Up’. Lawyers for the trio filed their opening brief with the Ninth Circuit Court of Appeals on 24th August, arguing that “if left to stand, the Blurred Lines verdict would chill musical creativity and inhibit the process by which later artists draw inspiration from earlier artists to create new popular music” and at the heart of their appeal is the argument that the Judge and indeed the jury should have simply considered the sheet music – the “deposit copy” filed with the US copyright office – and not been influenced by the actual recordings of either song. The “Blurred Lines” writers assert that when the court examined the two songs before the trial, Judge John A. Kronstadt should have ruled that the case was not worthy of trial…. Is Hackney using underhand methods to close down the night-time industries? 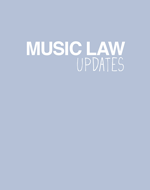 HEALTH & SAFETY Live events sector A jury has rejected a concert-goer’s claim for $10.7 million in damages against Hard Rock Hotel after she was injured at a Steve Aoki show when the DJ leapt into an inflatable raft in the crowd. Brittany Hickman, then in her mid twenties, allegedly suffered a concussion and a broken neck when she became trapped under the inflatable raft during a performance at Hard Rock in San Diego in 2012. According to Courtroom View Network, Hickman’s attorneys said Hard Rock should have known Aoki would leap into the crowd and should have taken steps to protect the audience. Hard Rock argued it was given no warning Aoki would perform the stunt, and claimed Hickman’s injuries weren’t as severe as she alleged. Her attorneys presented multiple expert witnesses who testified that the impact left her with a traumatic brain injury requiring a lifetime of costly medical care, but during his closing argument on behalf of the hotel Ernest Weiss of Klinedinst PC dismissed those experts as hired guns brought in to secure a large verdict. Hickman’s attorney John Gomez told the jury that her concussion left her with an impaired memory, slowed mental processing, migraines and vertigo….